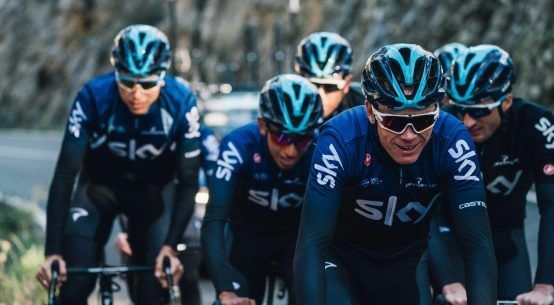 It feels like ages since the first rumours of a brand new global professional racing circuit put together by Russell Coutts and Larry Ellison first surfaced in early 2017. 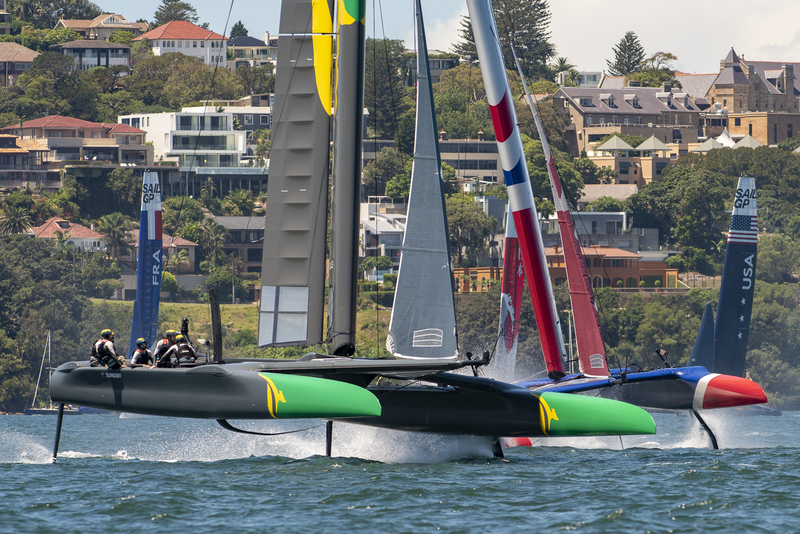 But yesterday in Sydney, Australia – one week away from the first event there next weekend – the six-boat fleet of supercharged F50 catamarans took to the water together for the teams’ first ever joint practice session. The crews of the six teams representing Australia, China, France, Great Britain, Japan, and the United States will have been glad of the opportunity to rack up a few more sailing hours aboard their new boats which they have not set foot on since sea trials were conducted in New Zealand in December. SailGP Australia Team make a high speed downwind turn at the windward mark. For Australian skipper Tom Slingsby to be leading an Australian team racing in a fleet of arguably the world’s most exciting sailboats on home waters is, as he puts it “quite an emotional experience”. The F50 cats are modified versions of the AC50s used to contest the 35th America’s Cup in Bermuda in 2016. Already the fastest boats on the planet the fleet has had 135,000 man hours of design and construction time lavished on them to equalise and turbo boost their performance. The speeds involved are breathtaking with several teams reporting top speeds touching 100 kilometres per hour – well over 50 knots. In the America’s Cup the boats raced head-to-head with just two boats on the racecourse at a time. The SailGP regattas scheduled to take place in Sydney this coming Friday and Saturday, in San Francisco on May 4 – 5, New York on June 21 – 22, in Cowes England on August 10 – 11, and Marseille, France on September 20 – 22, will see all six boats racing together in close formation. It’s a prospect that must have put knots in the stomachs of the six skippers and their crews as they look ahead to next weekend in Sydney. “The F50s all lined up next to each other is certainly a sight,” said Slingsby. 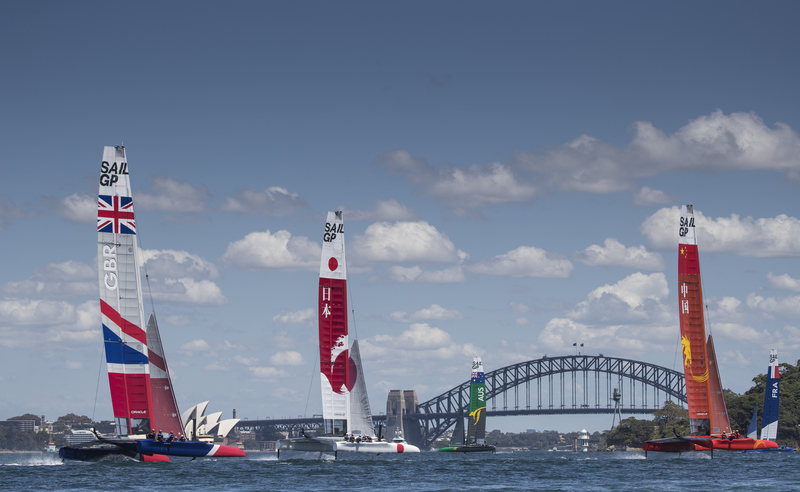 “Sydney Harbour feels tiny when you’re sailing just one of these boats, so with six all lined up and racing together, it’s going to be a spectacle, that’s for sure. It’s likely the sailors won’t be the only ones manging their nerves this coming week. 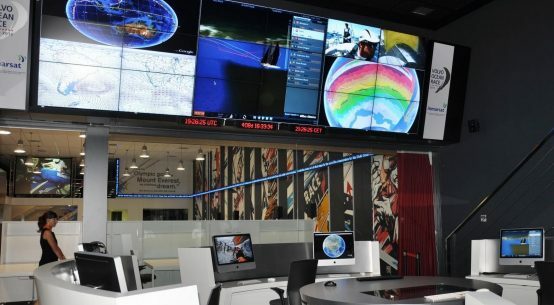 The technical team at SailGP have set themselves the goal of sharing publicly the data streamed from the boats in real time. 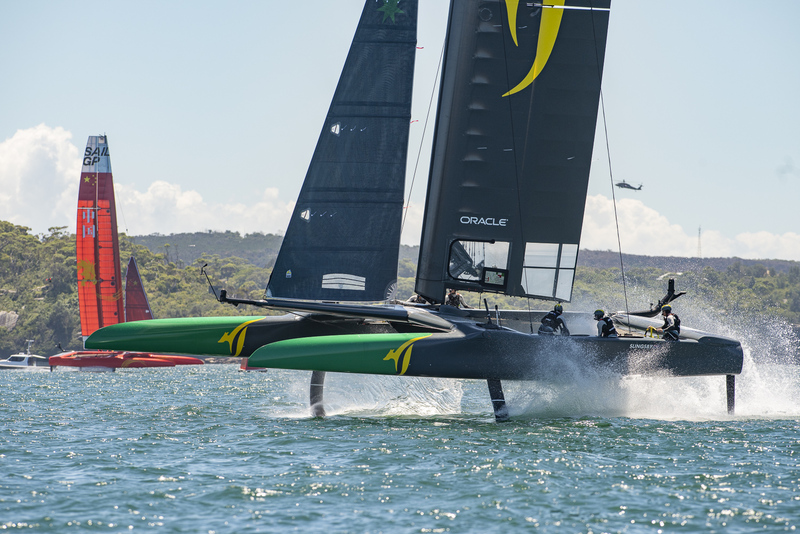 The data gathered from 1,200 sensors strategically attached to the hull and rigs of each of the F50 catamarans – including biometric sensors on the sailors themselves – will be streamed ashore and analysed using Oracle Cloud software. All that plus on-board cameras and microphones so that race fans can see and hear what is going on aboard the boats as the crews battle their way around the course should make for a thrilling spectator experience. Australian fans able to make it to Sydney can buy tickets to watch the action live. The event will also be available to watch live there on TV. The rest of the world will be able to watch via a – ahem, – soon to be released app. The event schedule is here.